Opti-Rite® dry erase wall coverings and flexible dry erase materials for the professional installer. 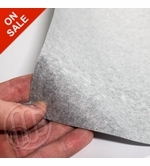 These materials require an adhesive for installation. Unlike our peel and stick, self-adhesive dry erase Opti-Rite® materials, these high quality dry erase wall coverings need an adhesive for installation. These Opti-Rite® brands may require an adhesive but they offer a few options that our current line of Opti-Rite® Peel and Stick brands don't. 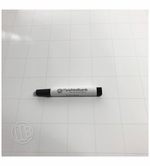 Opti-Rite® Mag™ has a light magnetic receptive dry erase surface. The magnetism is strong enough for light magnetic accessories but not as strong as a porcelain steel whiteboard. 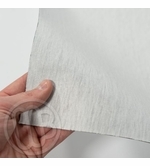 Opti-Rite® One is a heavy duty, bright white dry erase wall covering with a cloth backing. Compare Opti-Rite® 1 to Marsh Poly-Rite 1 or Walltalkers Just-Rite. Opti-Rite® Matte™ offers a more muted or less glossy finish which allows you to use the materials not only as a dry erase surface but also as a projection medium as well. Opti-Rite® Grid™ comes both magnetic receptive and regular and has a light ghost image which is approximately 2" x 2". 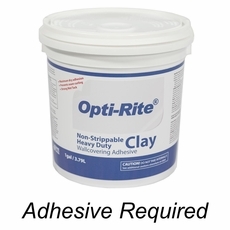 All of these Opti-Rite® materials require an adhesive for installation. For the best results and to make removing your Opti-Rite® materials easier when the time comes the wall or surface should be primed with an acrylic primer. 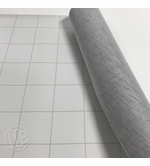 For the best results we also suggest that you hire a professional installer who is familiar with installing a heavy weight vinyl wall covering material. 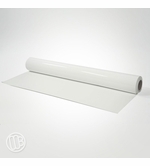 White 48" wide Magnetic receptive dry erase wall covering allows use of lightweight magnetic accessories. Paper Backed. 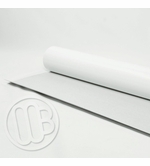 Bright White 47.25" wide Magnetic receptive dry erase wall covering. Fabric Backed. Low Gloss 47.25" wide Low Gloss Dry Erase Wall Covering. Magnetic with ghost grid pattern of approximately 2" x 2"
Light ghost grid pattern approximately 2" x 2"